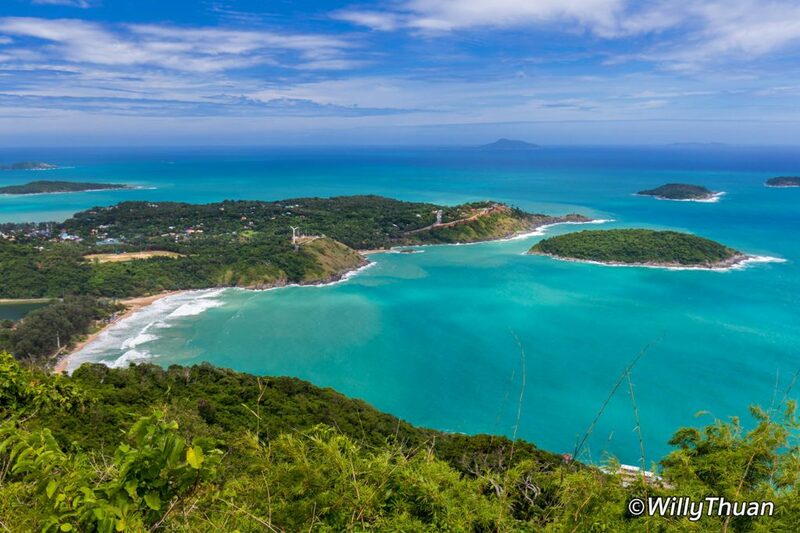 What to Do in Nai Harn? 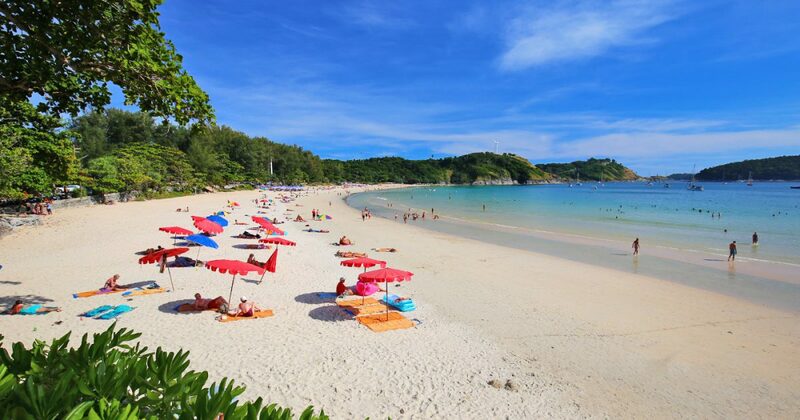 Nai Harn is a superb white beach with smooth sand, tucked between green hills and tiny islands in the south of Phuket. 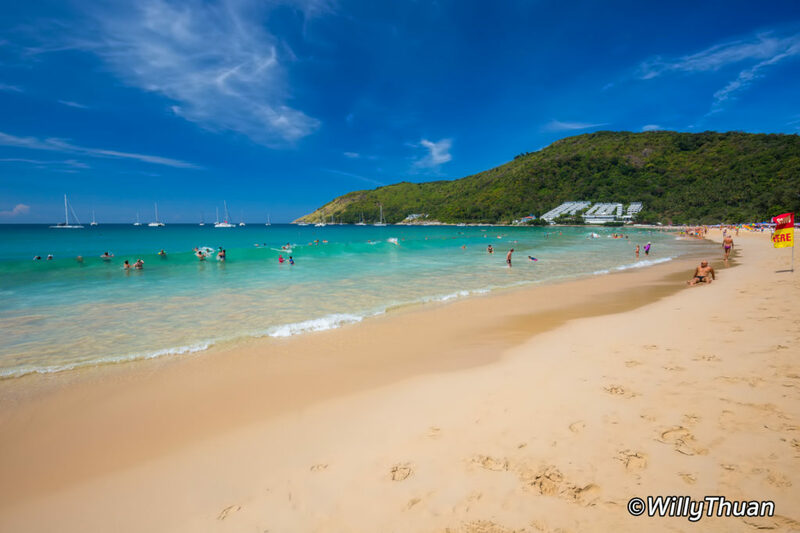 More laid back than west coast tourist spots, Nai Harn has enough restaurants, hotels and shops for a great day and still holds on pretty well to its original feel. The protected bay offers great anchorage for sailing boats and luxury yachts and has always been popular among expats and locals. The beach is vast with thin soft sand and bright blue water. That’s during the high season, of course, forget swimming anywhere in Phuket during low season. The south part of the Nai Harn beach ends with a small stream coming from the lake across the road and you will have to get your feet wet to go to the other side. The bay is busy, but usually not crowded except during the peak months of December and January. At lunchtime, your only problem will be to decide which restaurant you’ll pick; there are a few to choose from, all nicely set in the shade of huge trees near the beach. They all look the same, and they all serve more or less the same classic Thai dishes at a reasonable price. Just read the illustrated menu usually placed in front of the restaurant and follow your instinct an appetite. 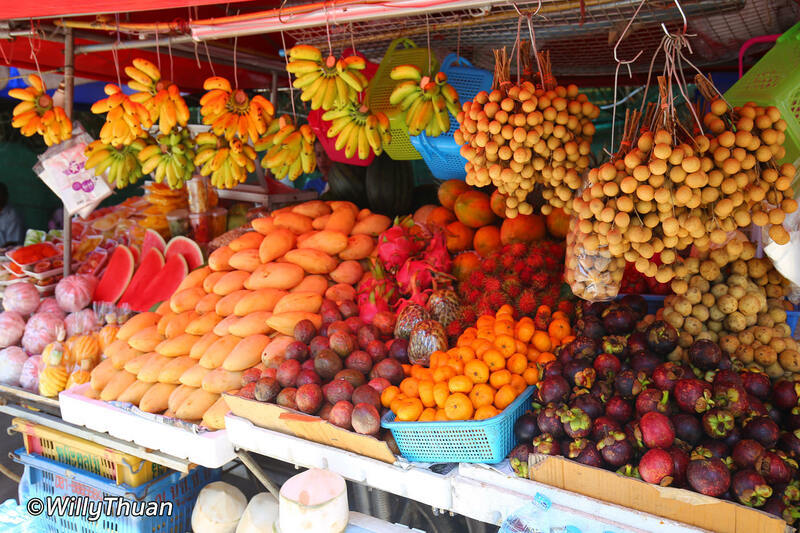 Here and there, few tiny shops sell the usual batiks, beach toys and stuff, but the best are the many fruit vendors along the street selling beautiful tropical fruits. Have you ever tried Dragon fruits or Star fruits or freshly peeled ripe mangoes that were probably picked up the same day? Of course, there is a mini mart (or two) and the unavoidable tailor. Did I mention the few beach massage? Having a massage on the beach for 300 baht for an hour is the best way to treat yourself when you start to get tired of doing nothing. 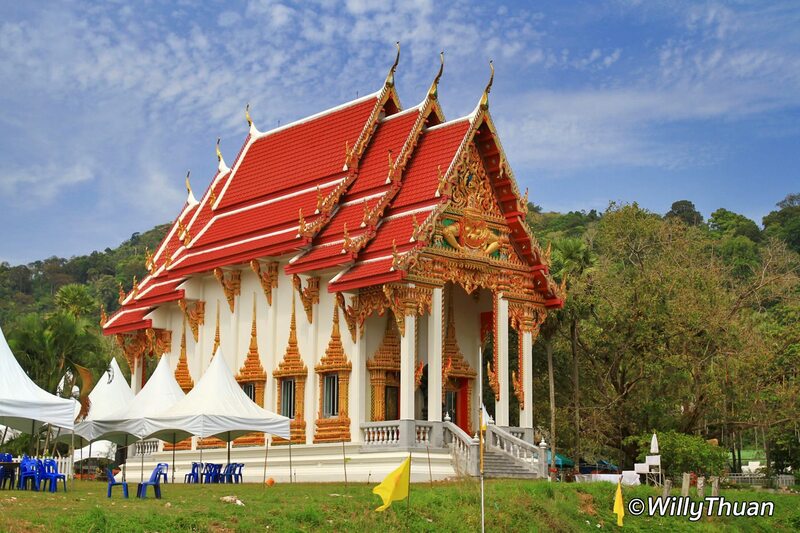 Between the beach and the lake, Wat Nai Harn was once a humble and unknown temple surrounded by walls. After adding a brand new building, it expanded to become a landmark. The lake behind the beach, once natural, is now a giant concrete pond where you can rent some paddle boats, fun for the kids. Only a few hotels are really near Nai Harn Beach: the ‘All Seasons’ and the superb ‘The Nai Harn‘, formerly ‘Le Meridien’. It is a unique hotel in a unique location; all rooms have fantastic sea views with very long (but narrow) balconies. The restaurants used to be famous; people were driving long distances to try them. Travellers have changed, hotel designs have changed, but this hotel has not, it is still a great hotel and an excellent place to have a drink while enjoying a sunset on the southern end of Phuket. 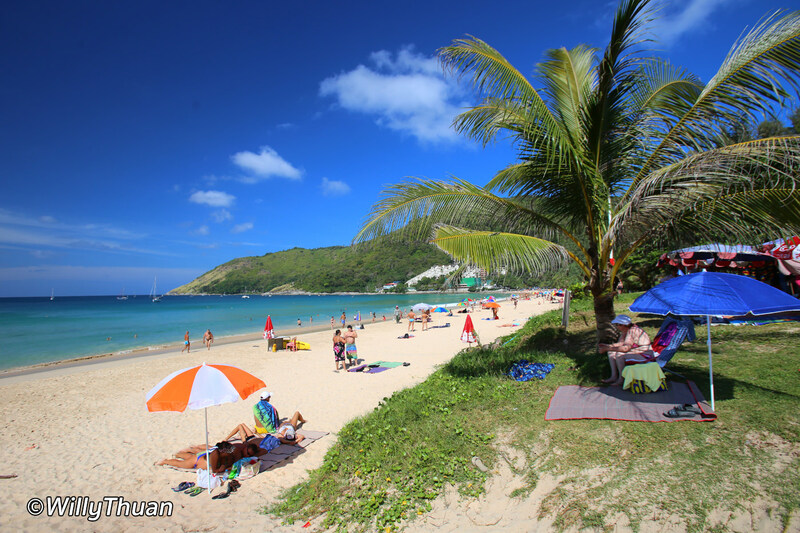 Despite the remote location, there are a lot of nice things to do around Nai Harn. 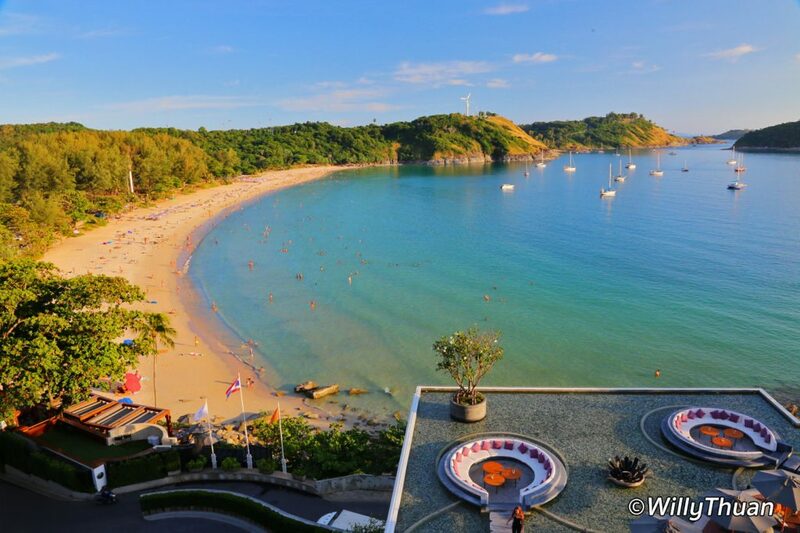 There are two ways to get excellent bird views of Nai Harn Beach. The easy way is to go to the Windmill viewpoint next to Ya Nui Beach. If you are ready for a bit of exploration and climbing, try the Black Rock Viewpoint, but for this one, you would have to drive back to the Karon viewpoint to find the entrance road. That one requires a bit of dedication. 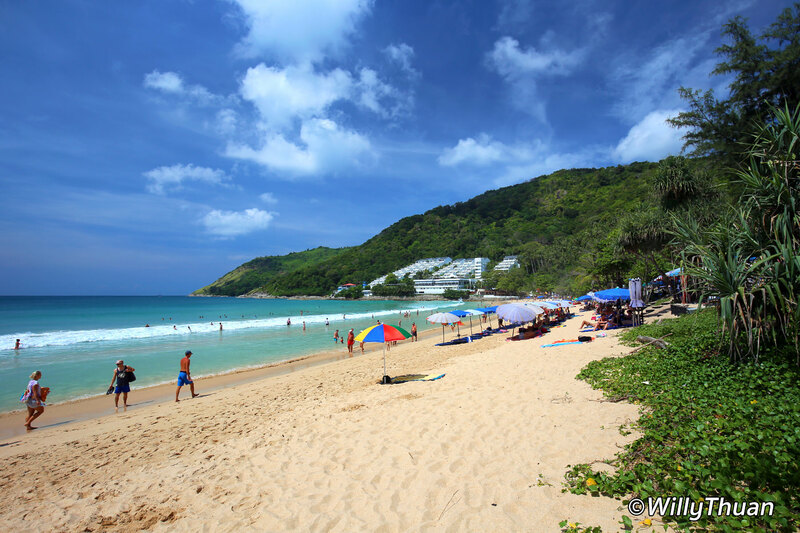 Near Nai Harn, there are two other small but enjoyable beaches. The east one is Ya Nui Beach as it’s on the main road. 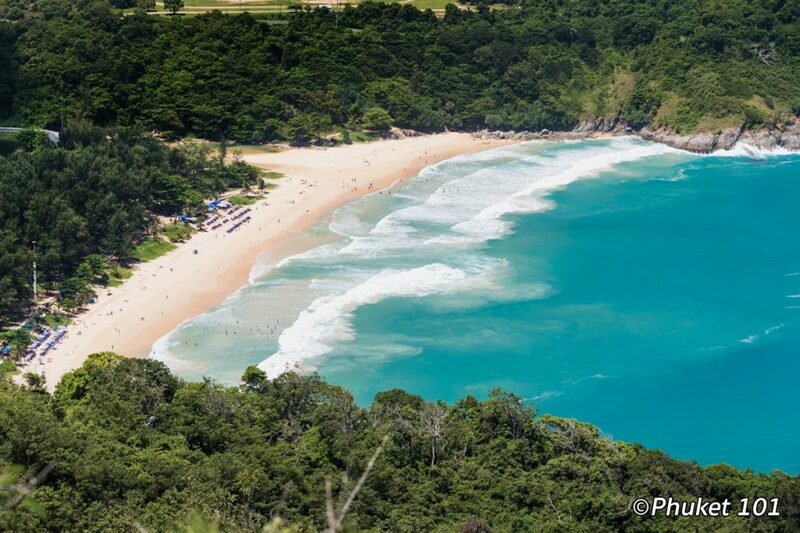 But to reach the beautiful hidden beach of Ao Sane, you will need to drive through the Nai Harn Resort. 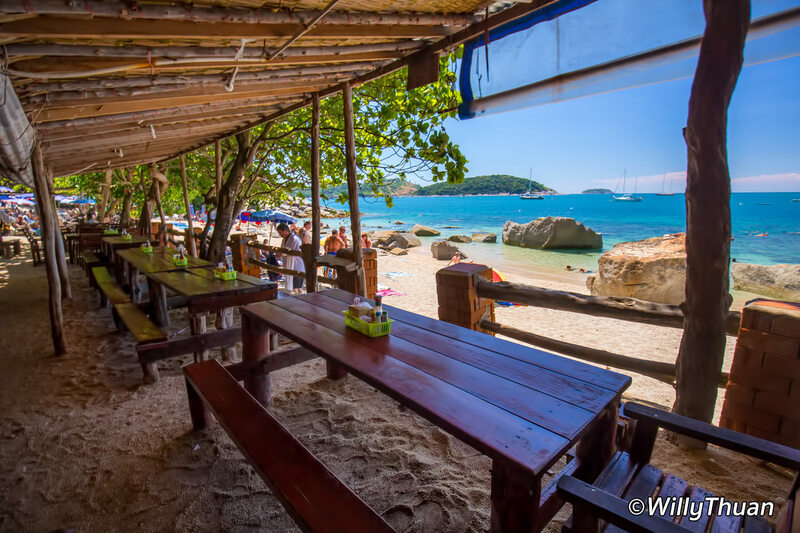 The road leading to Nai Harn beach has plenty of excellent restaurants such as Maggie & Mario’s Pizza, De Renata and Rum Jungle Cafe, or continue south to Promthep Cape Restaurant and have a seafood dinner with a sunset view. 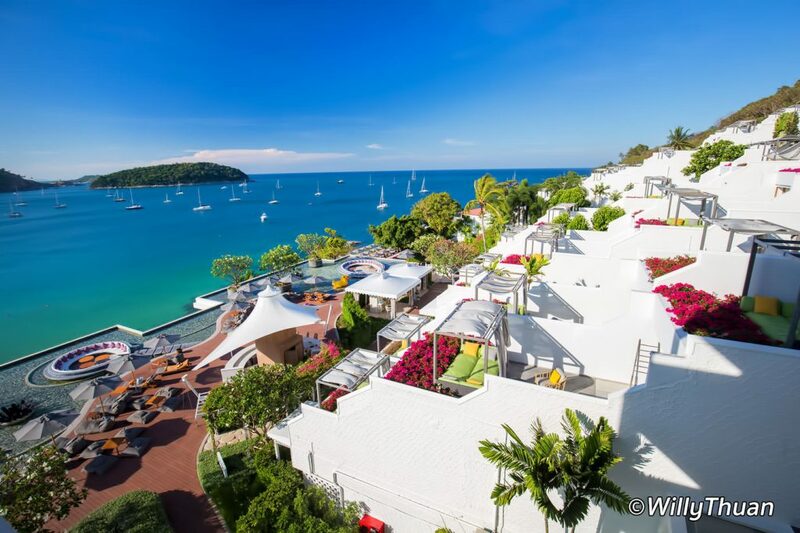 The rooftop bar and restaurant at the Nai Harn resort is a must!